And after wearing it for several weeks, I can safely say that it is. 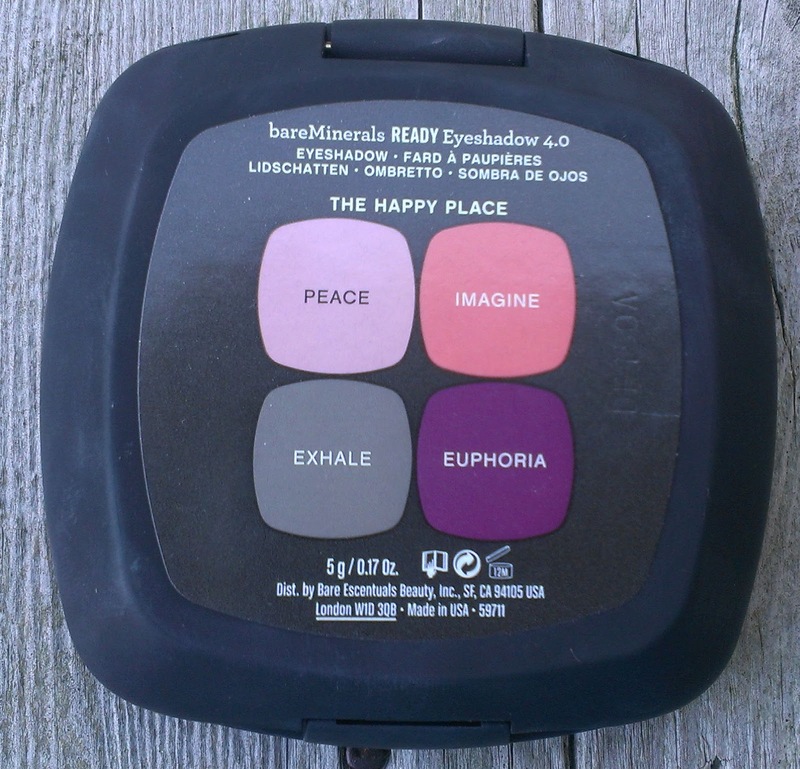 The Happy Place contains four shades: Peace, a matte pale peach; Imagine, a shimmery copper rose; Exhale, a matte smokey taupe; and Euphoria, a shimmery purple brown, almost eggplant shade. 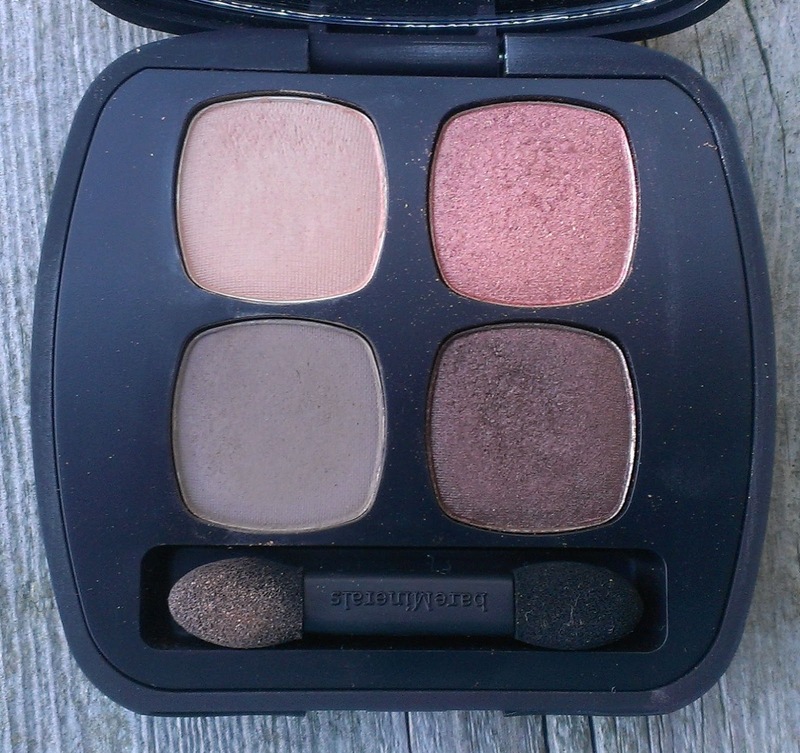 The colors are absolutely stunning and the formula is top notch just like the rest of the Ready shadows. In fact, while the two shimmery shades, Imagine and Euphoria, are probably my favorites, I'm most impressed by the matte shades because they're so smooth and creamy. In particular, I'm loving Exhale as a crease color these days. It look natural, but the smokiness of the shade makes it a little sultrier than my usual natural shadows. I think this quad would be great for everyone, but it's almost a must-have for blue-eyed folks. I can't tell you how much my eyes pop when I wear these shadows - particularly Imagine and Euphoria. The Happy Place is available for $30 on the Sephora, Bare Escentuals and QVC websites. 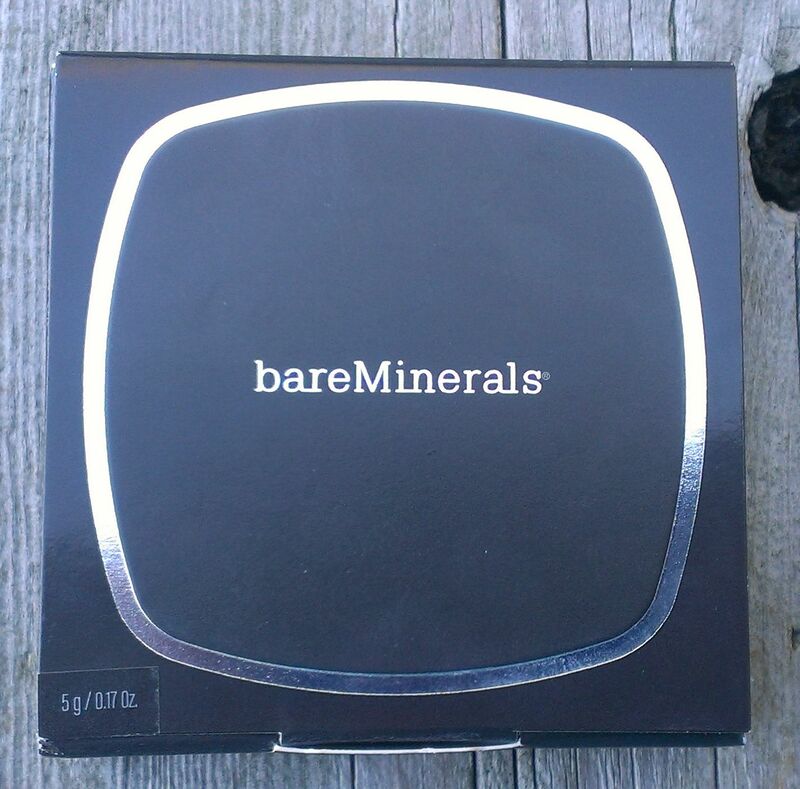 Bare Escentuals has it listed as Limited Edition, so if you want it, you might not want to wait too long to pick it up. Have you tried any of the Ready quads? If so, which is your favorite?